According to the group?s official website, the number one topic of conversation at this year?s secretive meeting will be ?populism in Europe?. The country?s new populist government has vowed to deport 500,000 migrants, re-assert localism over globalisation & monopoly capitalism, monitor mosques and reinvigorate the country?s Christian heritage, all policies that directly contradict the neoliberal globalist consensus that Bilderberg represents. The list of attendees for this year?s Bilderberg conference, which begins on Thursday, has also been released, a roster that journalist Charlie Skelton describes as @fascinating & high-powered.? I doubt any of the Bilderberg crew were visiting the trade center the day of the abomination. I watched a show done by a DR. Greer, he researches unidentifed crafts and has been for decades, according to this man the Bilerbergs are mentioned several times, his main theme is energy though he substantiates his findings in many areas with confirmed, verified facts, big dog testimony`s. What is the grabber for me is, how they will react to the changes taking place, the political situation is frustrating these sh**tbags. It is obvious they can pull off an abomination and remain in the shadows, buckle up, if these sh**ts decide to have another 911 it will be an offense the likes of which will make November 11th look like a walk in the park. Sorry guys, I don`t trust them, don`t like them, in short, they sit at the table of power and control. We , the LIL folks are nothing to them but numbers. Prime Minister of Serbia Lesbian and Croat Ana Brnabic invited on meeting of Bilderberg Group in Torino, Italy. interesting how now the MSM covers the Meeting ..
but this article is good .. This year?s Bilderberg conference has begun in Turin, and as well as billionaires and bank bosses the attendees include four prime ministers, two deputy prime ministers, the Nato secretary general, the German defence minister, the king of the Netherlands and the indefatigable 95-year-old Henry Kissinger. With AI high on the agenda, Demis Hassabis, who runs Google?s London-based DeepMind project, has also been invited back. He will be joined by his fellow AI luminary Hartmut Neven, the head of Google?s Quantum Artificial Intelligence lab. Sitting alongside Barbizet on Bilderberg?s steering commitee is the BP director Sir John Sawers. The former head of MI6 has this year invited BP?s chief financial officer, Brian Gilvary, who can chat about fracking with Dambisa Moyo, a director at Chevron. The veins of Bilderberg run with oil, and its beating heart is the Dutch royal family and its oil interests. The founding president of the group was Prince Bernhard, the grandfather of the current king, Willem-Alexander. In his inaugural speech at the first conference in 1954, Bernhard set out the purpose of Bilderberg: ?Because the free countries of Europe, the United States and Canada must act as a unit, they must try to think the same way. This is a long-term process.? At the top of the conference agenda are the dire words: ?Populism in Europe.? The EU, already given a black eye by Brexit, is facing another thumping from Italy?s populist coalition, and the transatlantic alliance is groaning under the strain of Trump. Which is why Turin is the perfect choice for the 2018 summit. The city is the spiritual home of Fiat and the Agnellis: the flamboyant Gianni Agnelli was a mainstay of Bilderberg throughout the last few decades of the 20th century, and a close friend of Kissinger (not, in this instance, a euphemism). His grandson, John Elkann, runs Exor, the holding company for the Agnelli billions, and sits on Bilderberg?s steering commitee. Scratch an industrialist at Bilderberg and you will find a media magnate. Antti Herlin, the Finnish delegate who runs Kone Corporation ? ?a global leader in the elevator and escalator industry? ? also happens to be the vice-chair of the company that owns the daily newspaper Helsingin Sanomat. Alex go vacation. Did he go to the Bilderberg Meeting too? Comes in these days in the city. In Turin . This is not the circus, nor a rock band. It is the Bilderberg group . Which settles in the capital of Savoy for its "seasonal" meeting place. The Bilderberg group is composed of a congregation of economists , journalists, stateless magnates of turbofinance, bankers without unhappy conscience. It is a group that has not been elected by anyone and that decides the fate of all : they gather in secret, in armored places and defended by the police. This will also be in Turin. Economic policies (such as the Ttip , Transatlantic trade and investment partnership) and the project of a new world turbo-capitalist order in which the economy is completely uncontrolled and the principles of competitiveness , profit and social destruction undisputed reign supreme. The Bilderberg is the emblem of the new post-1989 dominant class. That is composed of a masnada of ultraliberal billionaires , plutocratic oilmen, stateless bankers, outsourced financiers and indubitable gentlemen of investment banking and lobbying, mobile and rootless like the hubs from which the boundless financial power radiates globally. Among them we can mention Rockefeller , Rupert Murdoch, JP Morgan, Rothschild, the Open Society Foundation and the Soros fund management of the philanthropist banker George Soros , generous promoter of multiple colored neo-colonial revolutions made in USA under humanitarian ideological cover. As was noted by the banker Paul Warburg , in the presence of the US Senate in 1950: "we will have a world government, whether we like it or not. The only question is whether it will be established by adhesion or by conquest ". With a convergent perspective, in an interview of 18 July 1970, Edmond De Rotschild , asserted without interruption that "the bolt to blow up, at the moment, is the nation" as a political space organized with centrality of bourgeois and proletarian ethics and with solid and supportive. 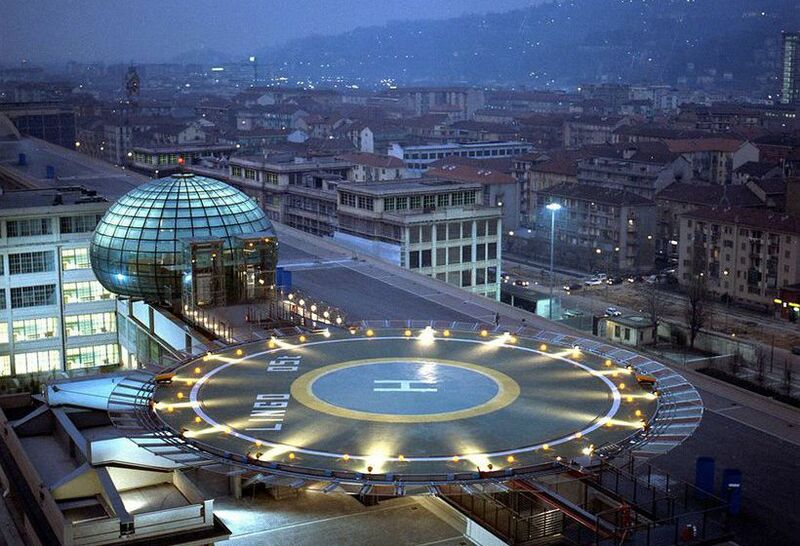 From outside the now-closed NH Lingotto Congress Hotel in Turin, Italy, Josh Friedman discusses the preparations going on for the 2018 Bilderberg Conference. Who will be attending the 2018 meeting and what topics are on Bilderberg's agenda? Are there any surprise guests? Also, what is interesting about the meeting location and date? The NH Lingotto hotel in Turin is situated in the historically-significant former Fiat automobile factory in the beautiful historic city of Turin. The hotel space was totally redesigned by world-renowned architect Renzo Piano. The hotel?s first floor connects to a 500-meter long exclusive shopping gallery which features numerous boutiques, cafes and much more, while the top floor houses the extraordinary Pinacoteca Giovanni e Marella Agnelli art gallery. The hotel features 240 rooms and suites that evoke an up-market loft-like atmosphere with their stylish furniture, cherry wood wall paneling, the original Fiat factory?s floor-to-ceiling windows and stunning views. The hotel?s central Garden of Wonders is a magnificent tropical garden viewable from guest rooms and the hotel?s public areas. The signature restaurant, Torpedo, offers diners traditional Italian, regional and Mediterranean dishes prepared with a touch of fusion influences by our master chefs.The Turtle Bar is the ideal spot to stop for a pre-dinner cocktail or light meal. The history of NH Hotel Group begins in 1978, when its first establishment opens its doors - the Ciudad de Pamplona hotel. Four years later, the chain moves beyond the region of Navarra and, with the incorporation of NH Calder?n in Barcelona, takes its first steps into what would become just a decade later one of the first hotels chains in Spain, with establishments in Madrid, Barcelona and Zaragoza. It was then, in 1988, that Corporaci?n Financiera Reunida, S.A (COFIR) joined the company as a reference shareholder. The NH story is one of growth, growth in establishments, quality and prestige over its 35-year track record. Today it is a benchmark operator of city hotels in Europe and Latin America. It operates close to 400 hotels in 30 markets, including top city destinations such as Amsterdam, Barcelona, Berlin, Bogota, Brussels, Buenos Aires, D?sseldorf, Frankfurt, London, Madrid, Mexico City, Milan, Munich, New York, Rome and Vienna. Concerning Asset Management, the Company identified where NH wanted to be and how, exiting establishments that failed to meet the Group?s expectations. Additionally the sale of Sotogrande allowed NH to maintain other strategic assets for the Company. Regarding the Expansion Plan, at the beginning of 2015 the Group completed the acquisition of the Latin American chain Hoteles Royal which allowed NH Hotel Group to launch its brands in Colombia, become leader in Bogot?, and increase the presence in Chile and Ecuador. At the same time, a joint venture in China progressed as planned and NH expect to develop a hotel portfolio in that country. Key Executives for NH Hotel Group, S.A.
NH Hotel Group, S.A. does not have any Key Executives recorded. NH ("Navarra Hoteles", named after the region in Spain) was founded in 1978 by Antonio Catal?n. Throughout the 1980s, 1990s and 2000s, it made a series of acquisitions (Jolly in Italy, Krasnapolsky in the Netherlands, Astron in Germany) which increased its size to close to 400 hotels. In 2014, four brands were created to commercialize its properties: NH Hotels, NH Collection, nhow, and Hesperia Resorts. For Catal?n, the key to the partnership with Marriott International is ?flexibility and imagination?. Today, following its merger with Starwood, the greatest challenge the group faces is managing its large number of chains: ?Increasingly, we manage fewer hotels and more brands? J.W. Marriott Jr., right, and his three sons: John, left; Steve, second left; and David, pull on a ceremonial gold rope to unveil a model of the hotel chain's new room design, in New York's Times Square Wednesday Sept. 21, 2005. Marriott International Inc. expects half of its rooms affected by Hurricane Katrina to be open by Oct. 1, while in its other hotels, the company is incorporating a new look to it rooms. But even by those standards, the consolidation of the ski industry this year was impressively fast. At the tail end of last season, KSL Capital Partners, owner of Squaw Valley and Alpine Meadows, partnered with Aspen Skiing Co. owner Henry Crown and Co. to buy Intrawest Resorts and its half-dozen ski mountains for about $1.5 billion. A few days later, the group said it would acquire Mammoth Resorts and its eponymous Northern California mountain. By August, the group had snapped up Utah's Deer Valley Resort, as well. In fact, the buyout announcements took place so rapidly that the acquisition group still has not had time to come up with a name -- at least not one that it's ready to disclose. Its president, David Perry, would only say that the company would announce a name in time for the upcoming ski season. For those keeping tabs, the magic number is 13. That's the number of North American resorts owned by each group. For Vail Resorts, that includes its eponymous resort as well as Colorado's Breckenridge, considered the country's two most popular resorts, as well as Whistler Blackcomb and Lake Tahoe's Heavenly. "We're having a blast," Perry said last month. "We're private, we're well funded and we're going to grow this business." Blachford added that the rising day-pass prices continue to pose a hurdle for those looking to learn the sport. Regardless, longer-term challenges have caused many North American ski resorts to shut down. The number of U.S. ski areas has fallen steadily, to 481 today from 546 in 1991-92, according to the NSAA. "Consolidation is the name of the game in the industry," Inntopia vice president of business intelligence Tom Foley said shortly after the Deer Valley acquisition was announced in August. "Fewer players in the field allows for a more dictatorial approach to pricing. Vail Resorts appears to have overcome many of these challenges by buying up competitors and perfecting the art of season-pass sales through data-informed pricing and the branding of its Epic Pass season passes. With Vail leading the way, about 40% of last season's U.S. ski visits were on season passes, up from 34% in 2008-09, according to the NSAA.